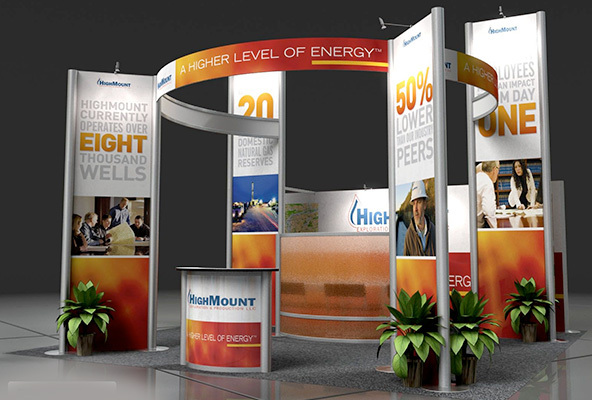 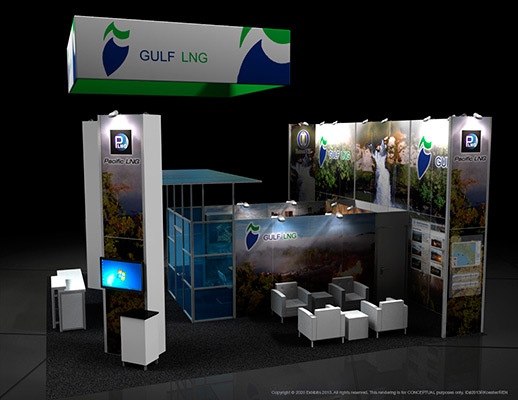 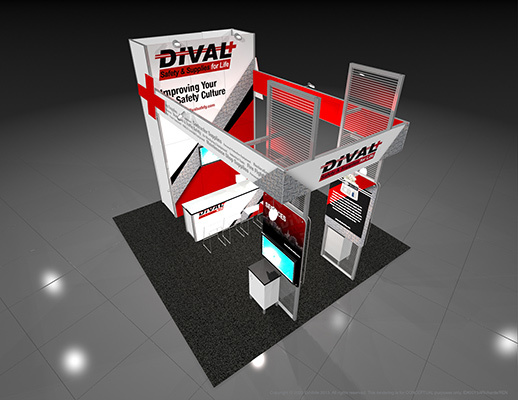 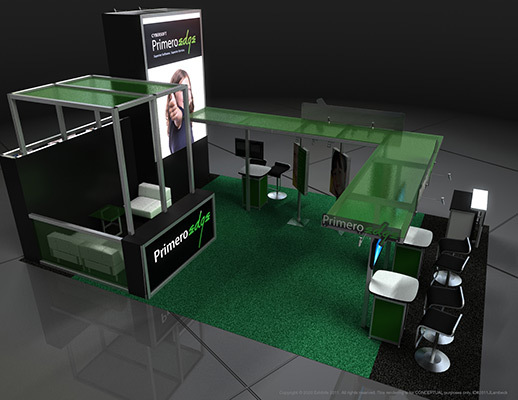 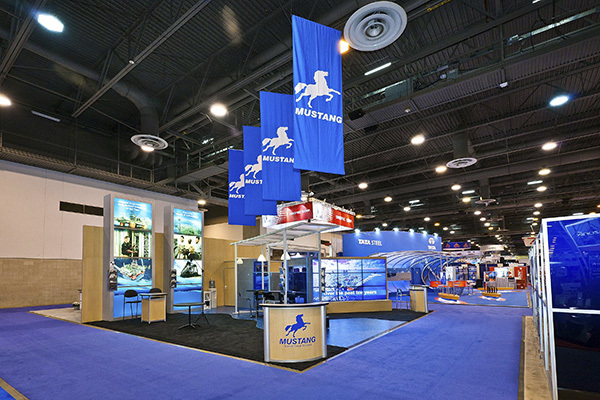 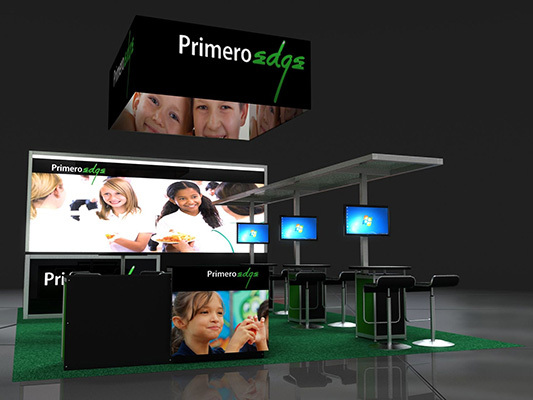 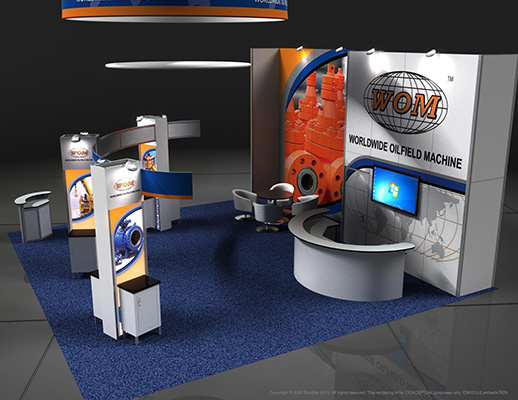 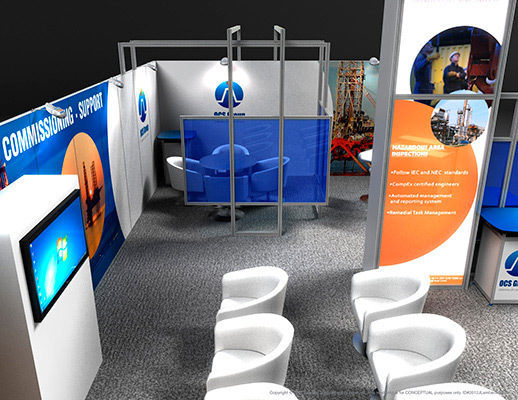 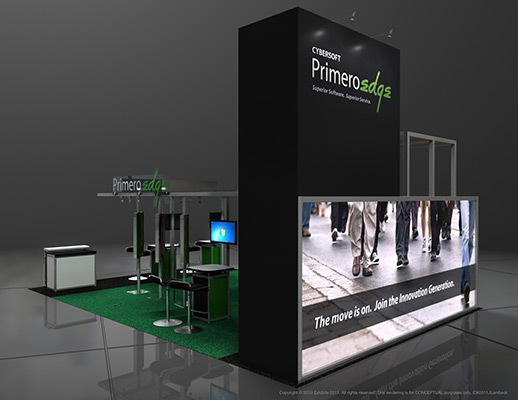 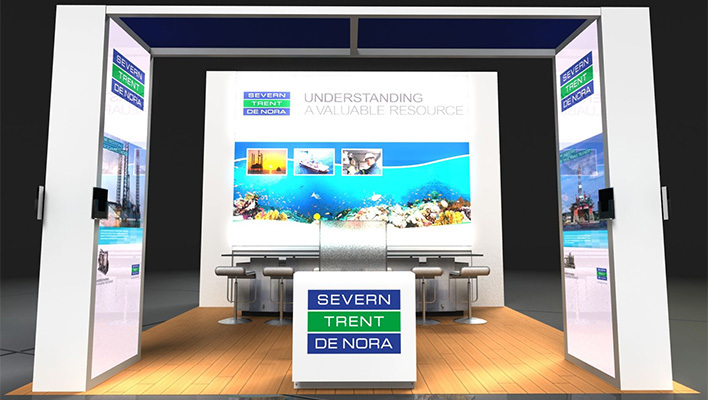 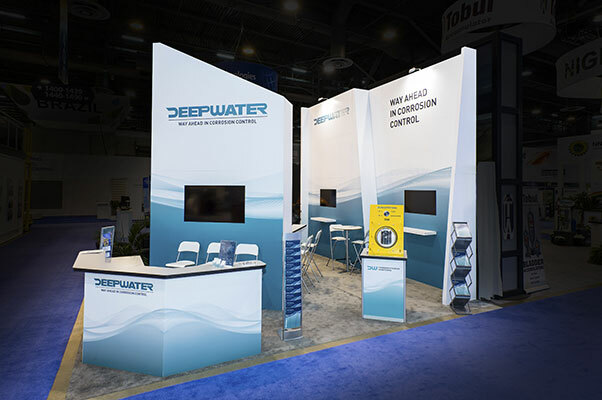 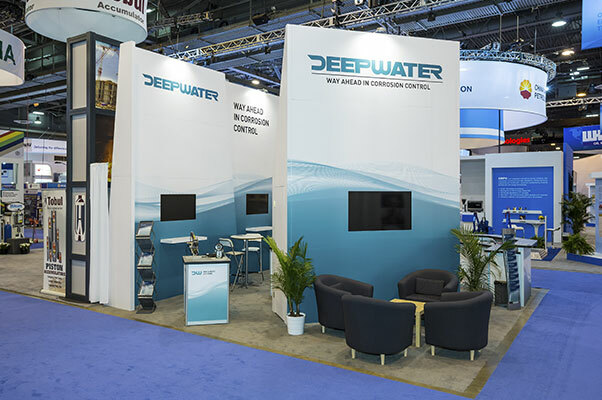 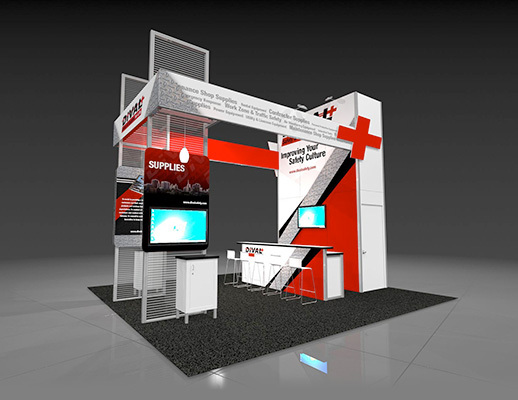 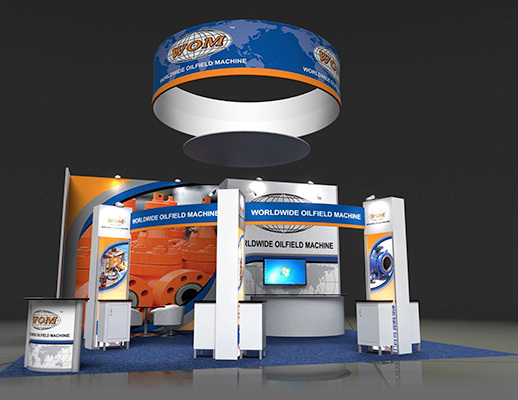 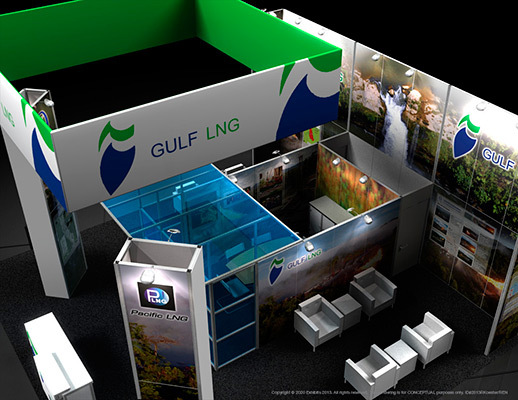 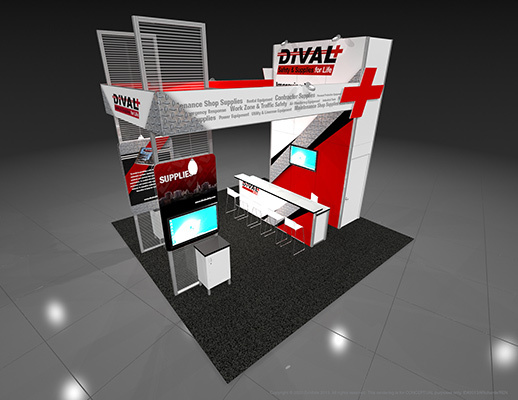 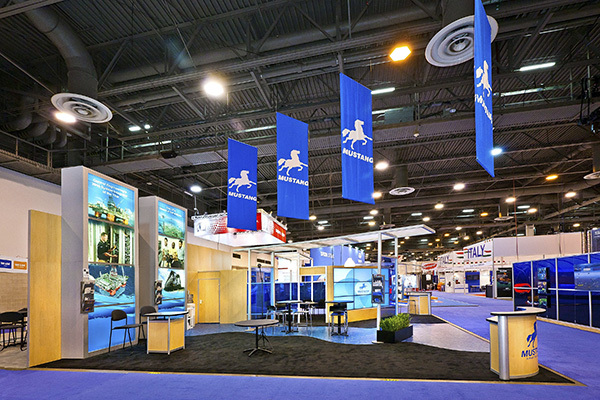 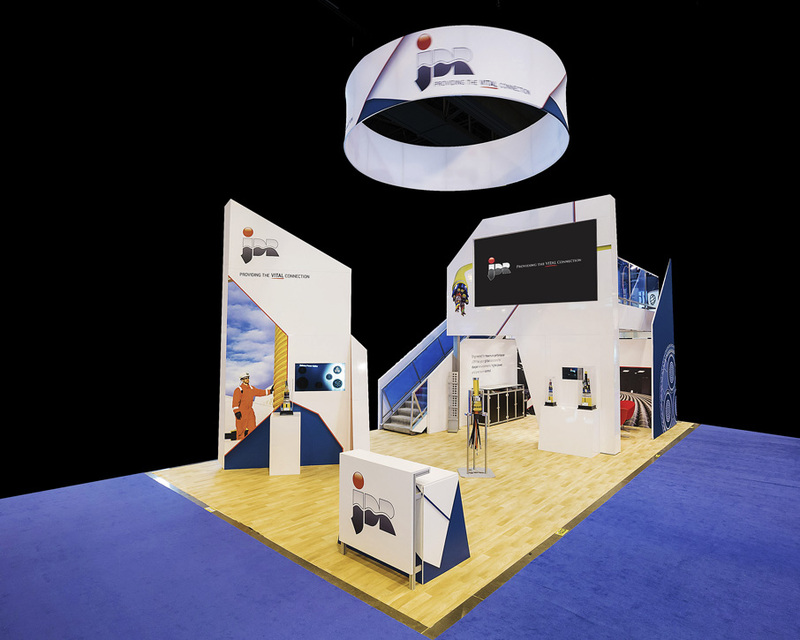 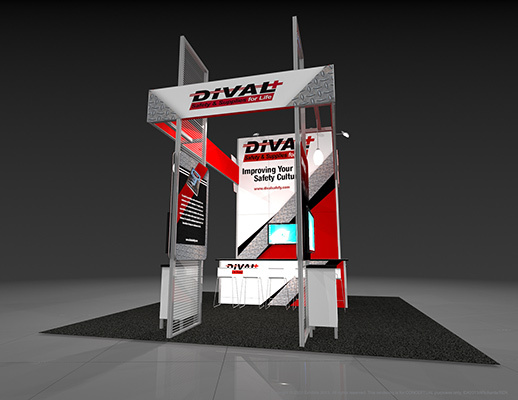 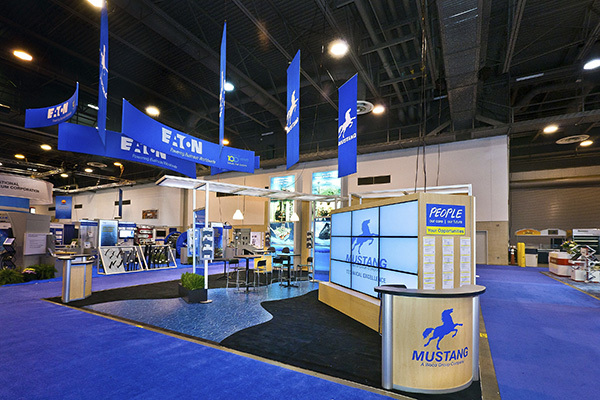 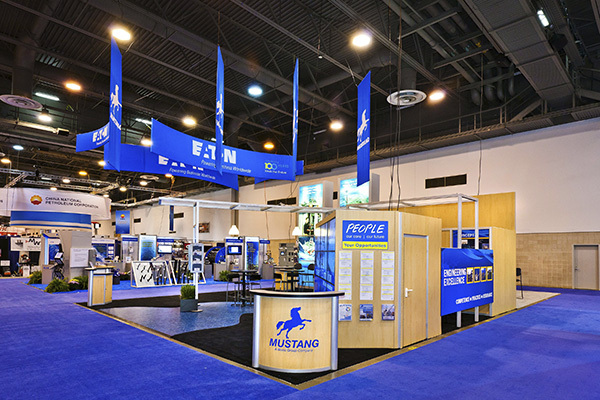 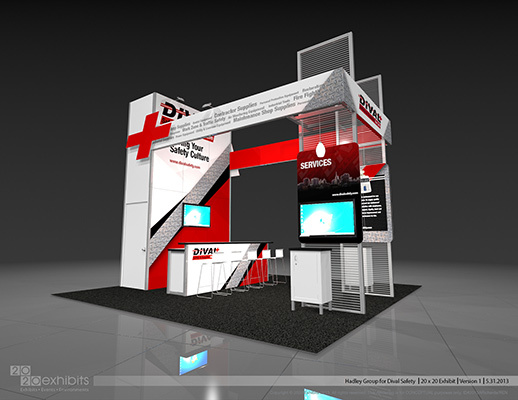 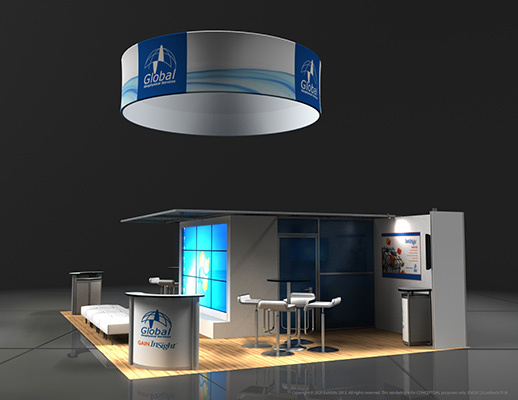 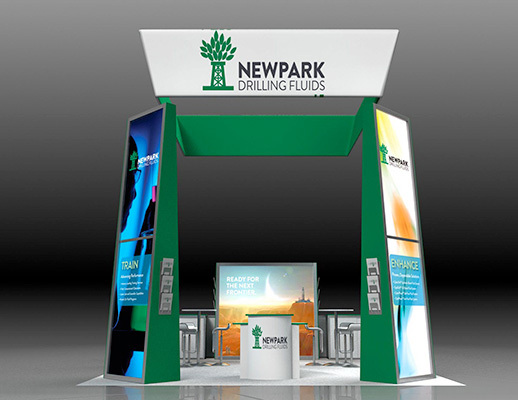 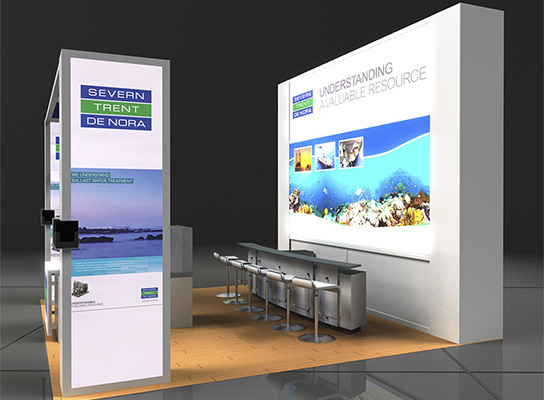 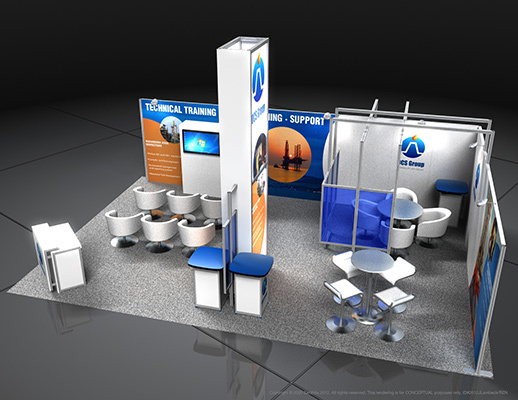 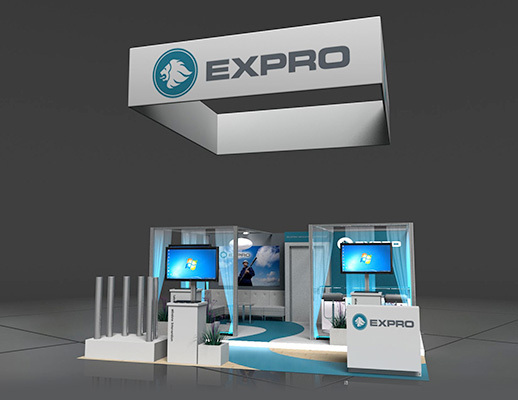 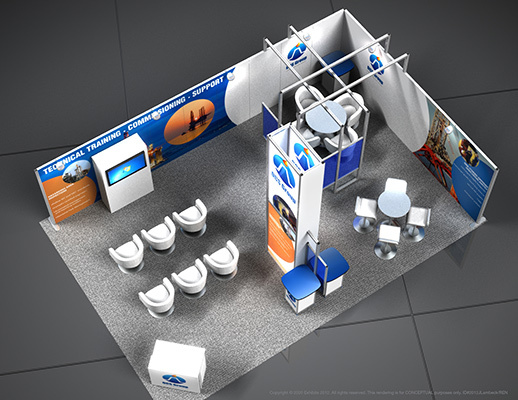 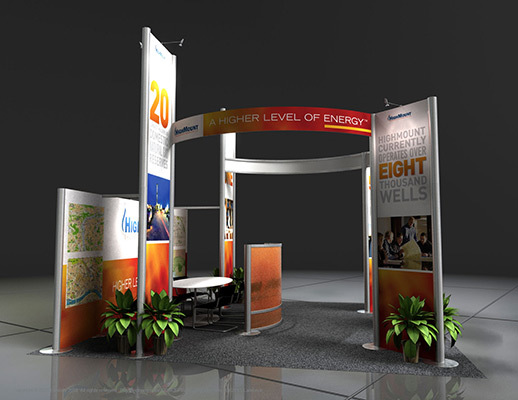 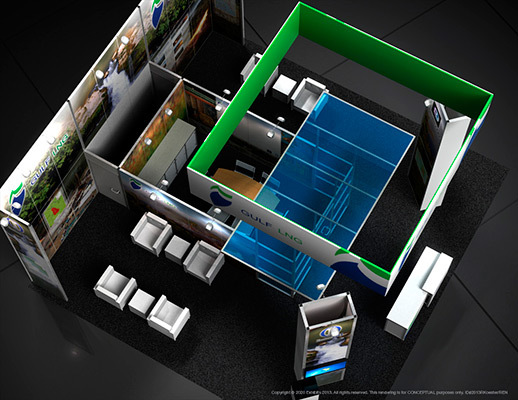 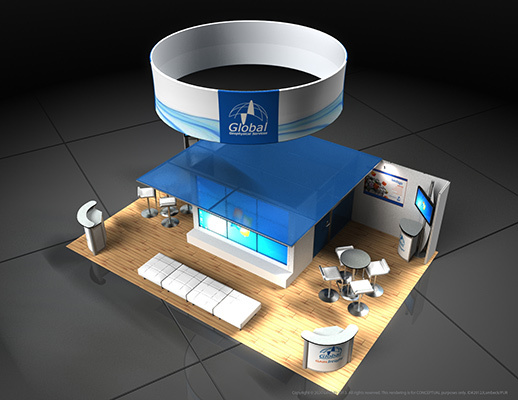 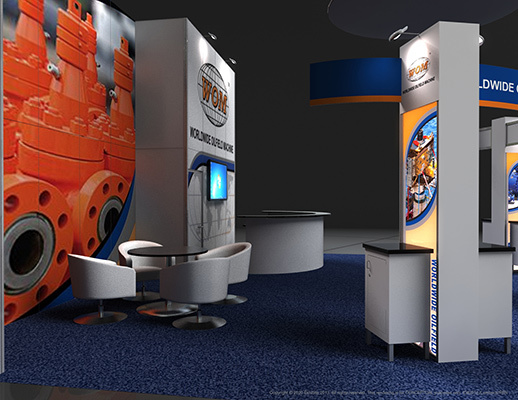 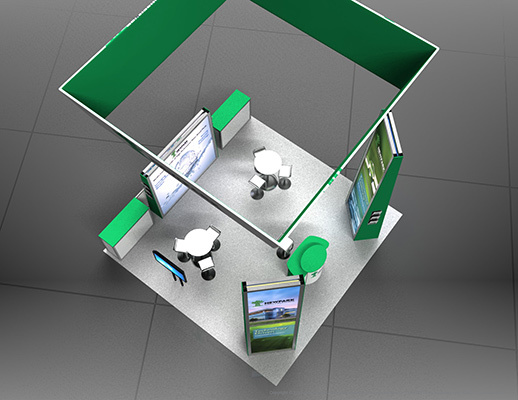 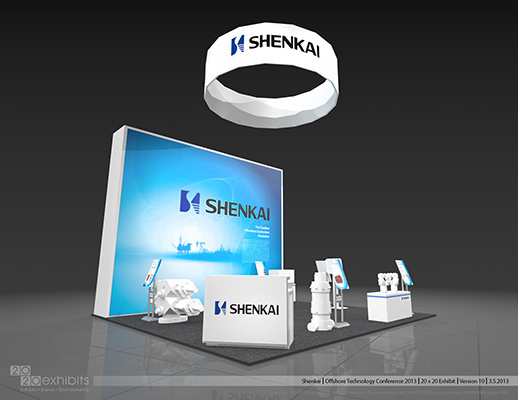 With a clearly defined exhibit footprint to showcase EXPRO’s depth of innovation, there was a creative mix of multimedia and bold, bright graphics to attract and captivate visitors. 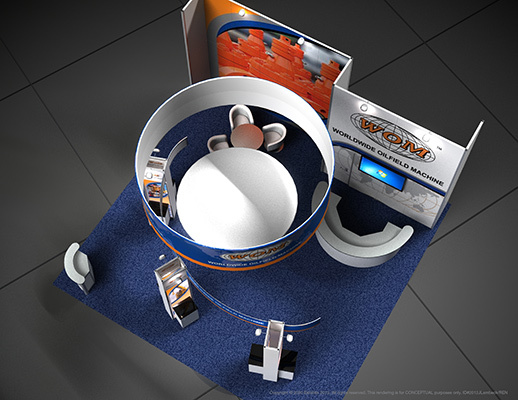 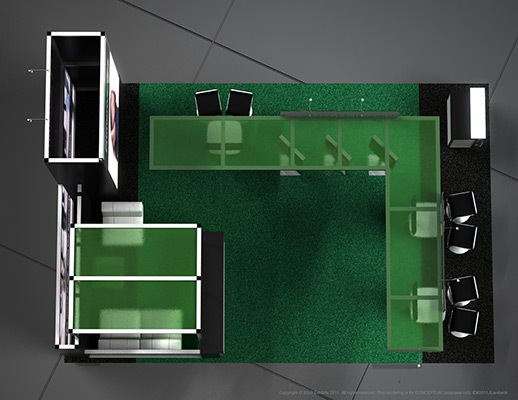 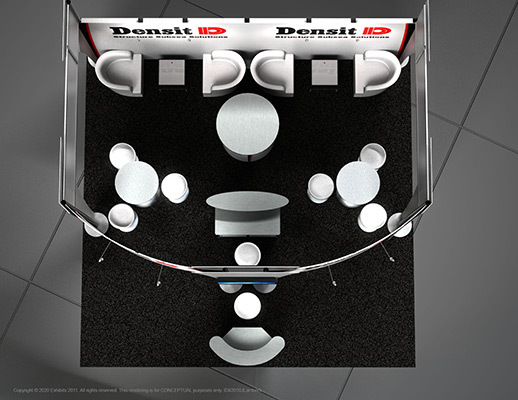 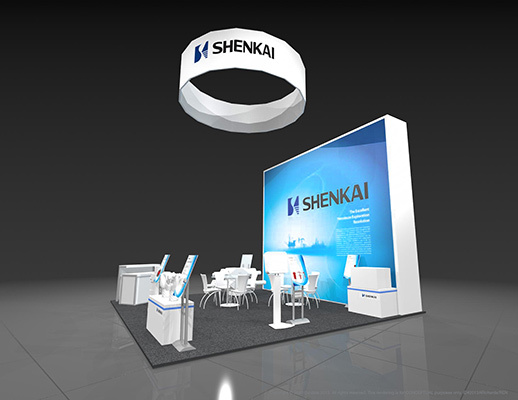 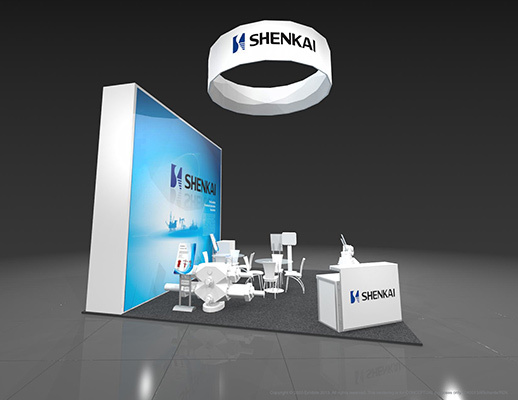 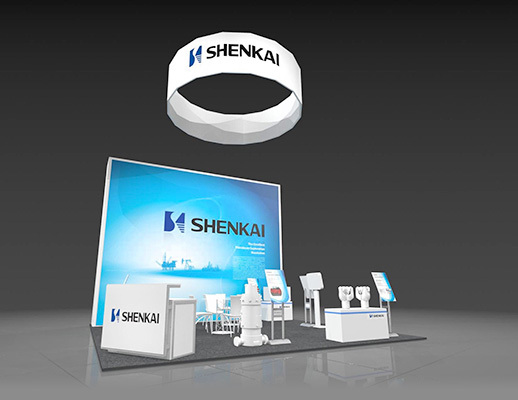 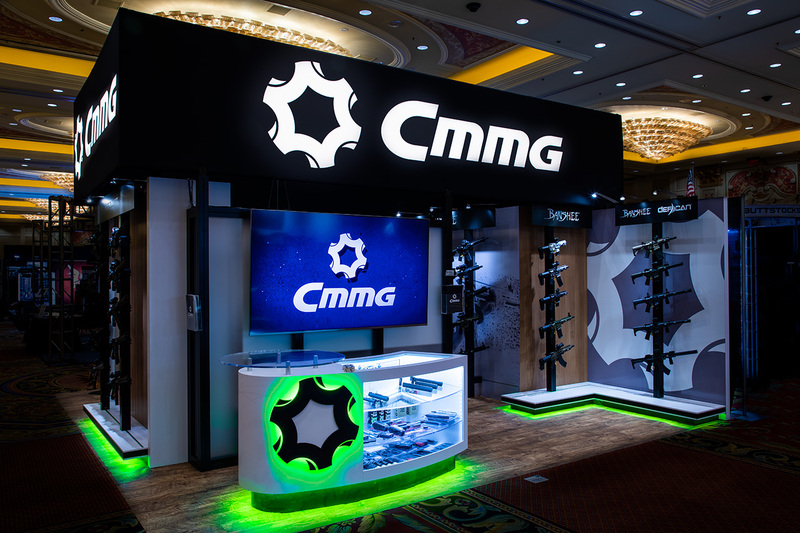 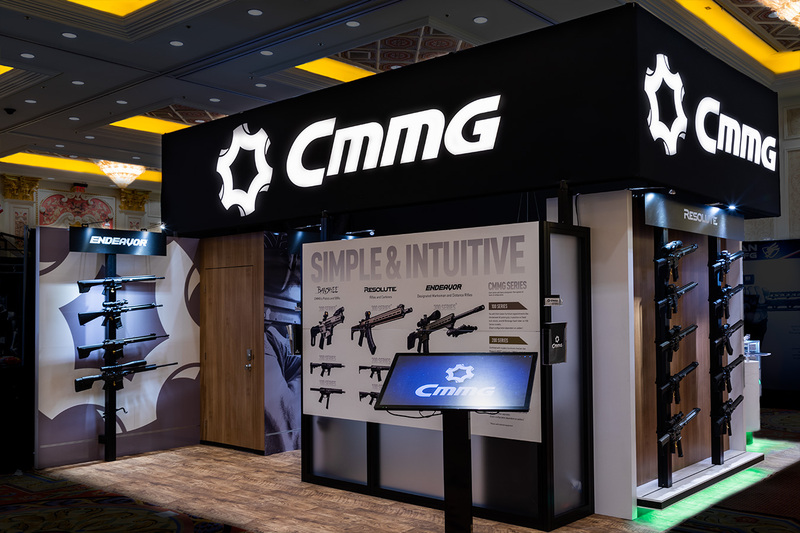 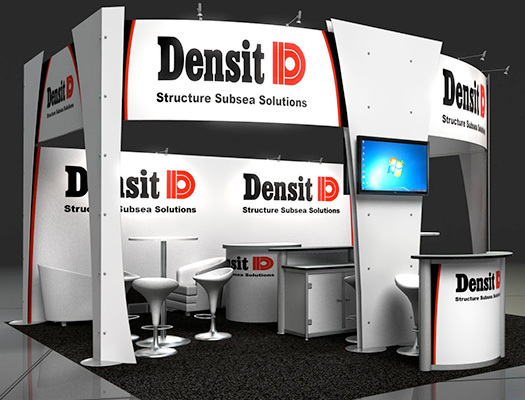 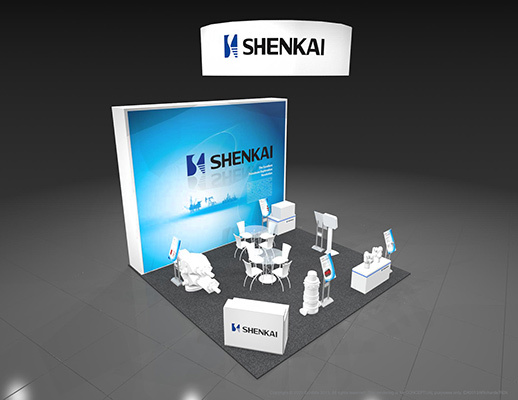 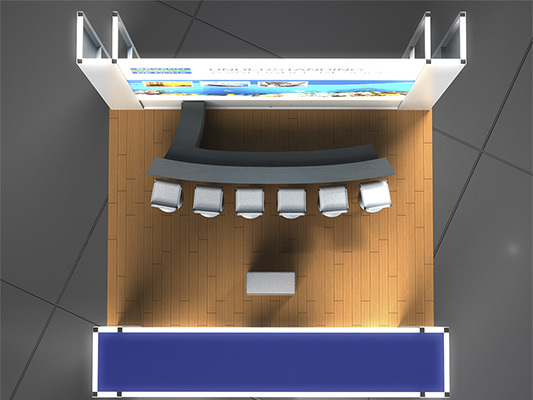 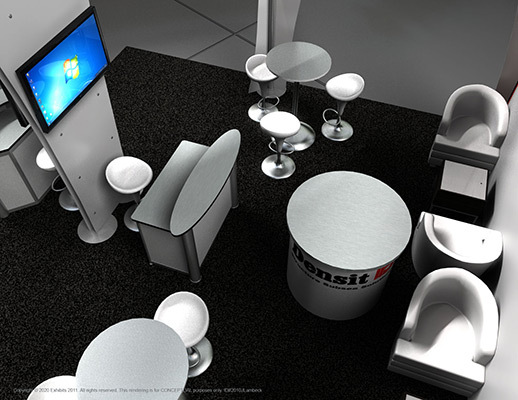 Designed with the experience and journey in mind, the exhibit’s structured design elements and custom-designed way finding carpet leads attendees inward, along a curved, deliberate path to key product stations and custom built, rotating product stands. 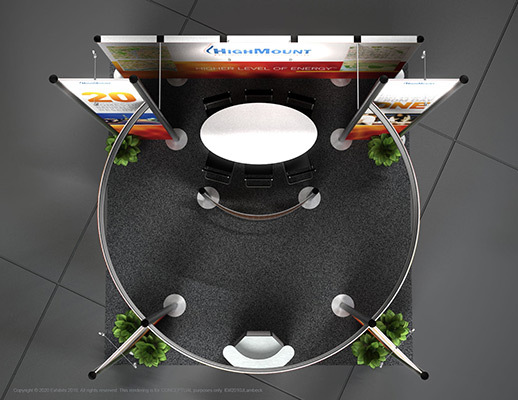 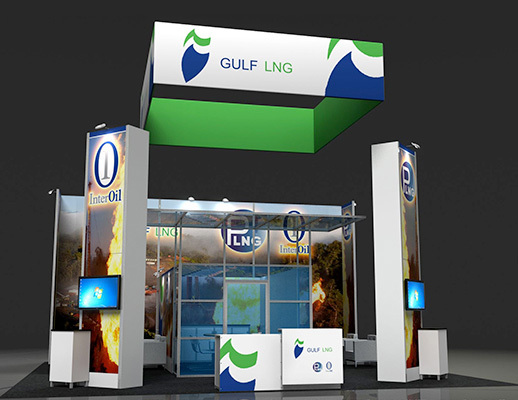 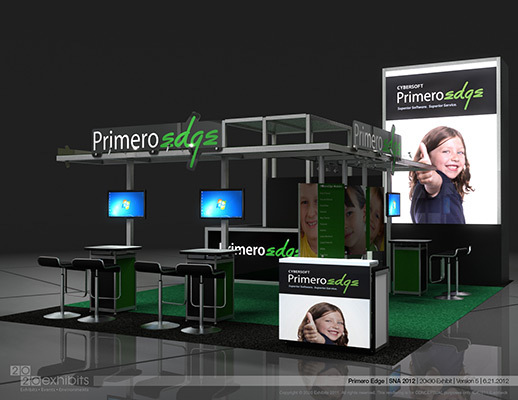 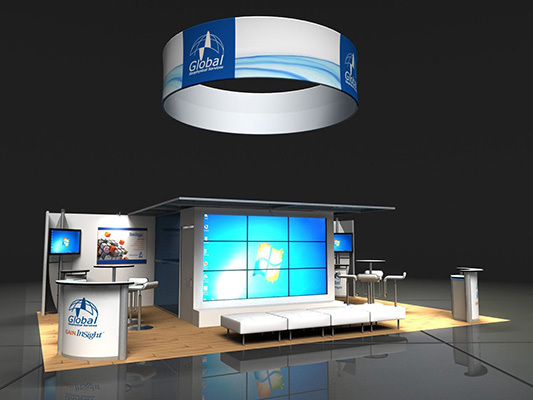 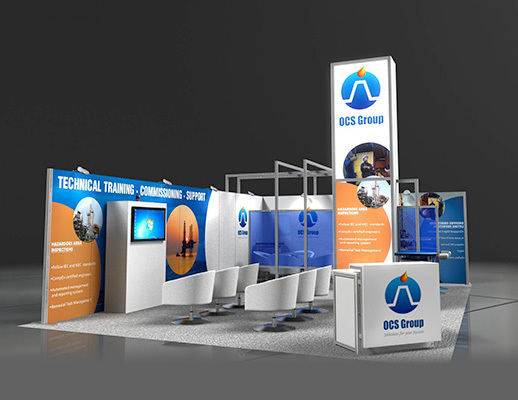 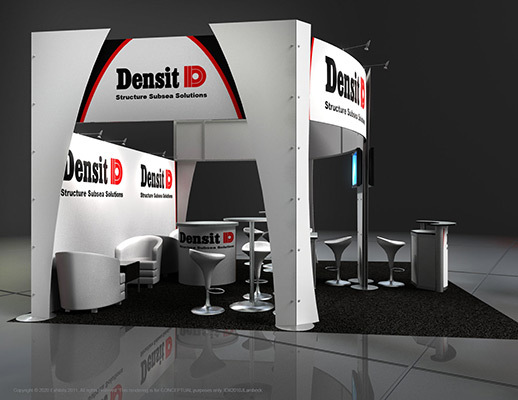 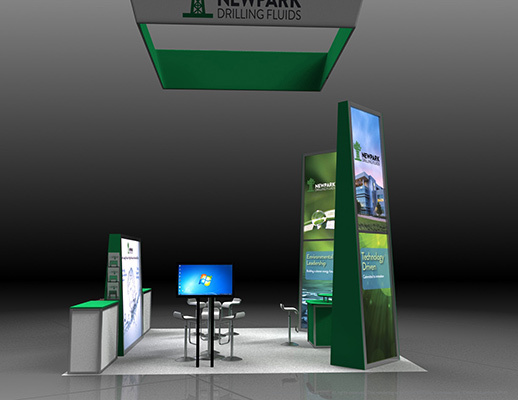 Features include: large overhead logo sign, product display, curved path, reception area, video monitors, storage closet, storage cabinets, curtains, open conference seating, graphic wall banners and floral/planters.